All students will have the option of taking lessons in the comfort of their own homes, or in my teaching studio. Careful attention is placed on each student to ensure a custom lesson plan based on their skill level and individual needs. 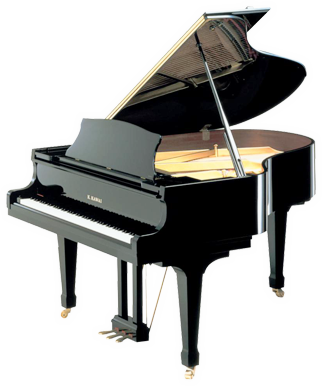 Each student will have the opportunity to perform in our recitals no matter the skill level of the student. I specialize in classical, show tunes, popular and other styles of music. Technique - The idea is to make sure that the student utilizes all of the tools supplied to them properly. To make sure that they are using the correct muscles in their playing as well as phrasing and dynamics. Music Theory - Key signatures, counterpoint, modes, enharmonics, transposition, reading music, etc., which are all used in both classical and jazz among other styles to give the student a greater understanding of how music is constructed. This of course takes time but is well worth it and extremely important in making them a complete musician. Ear Training - Developing the students inner hearing and inner pitch along with memorization skills and to be able to channel energy into their playing. Fun - The main thing is to have fun while you are learning. Develop your own inner musical ear and have fun with it.